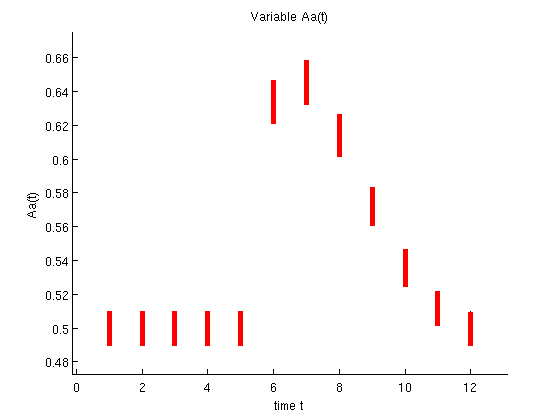 ADMIT (Analysis, Design and Model Invalidation Toolbox) is a MATLAB™ - based toolbox for model invalidation, state and parameter estimation using unknown-but-bounded quantitative data or qualitative information given as if-then statements. Mathematical modeling and analysis have become, for the study of biological and cellular processes, an important complement to experimental research. However, the structural and quantitative knowledge available for such processes is frequently limited, and measurements are often subject to inherent and possibly large uncertainties or even only of qualitative nature. This results in competing model hypotheses, whose kinetic parameters may not be experimentally determinable. Discriminating among these alternatives and estimating their kinetic parameters is crucial to improve the understanding of the considered process, and to benefit from the analytical tools at hand. ADMIT implements novel algorithms for modeling and analysis of various types of biological networks such as signaling, metabolic or gene-regulation networks, and networks involving discrete variables. Nonlinear constraint satisfaction problems are easily constructed given the quantitative, qualitative information, and model descriptions, as illustrated in the tutorial and in the examples. A detailed understanding of the underlying mathematical concepts is not needed to run the examples or to produce own ones. 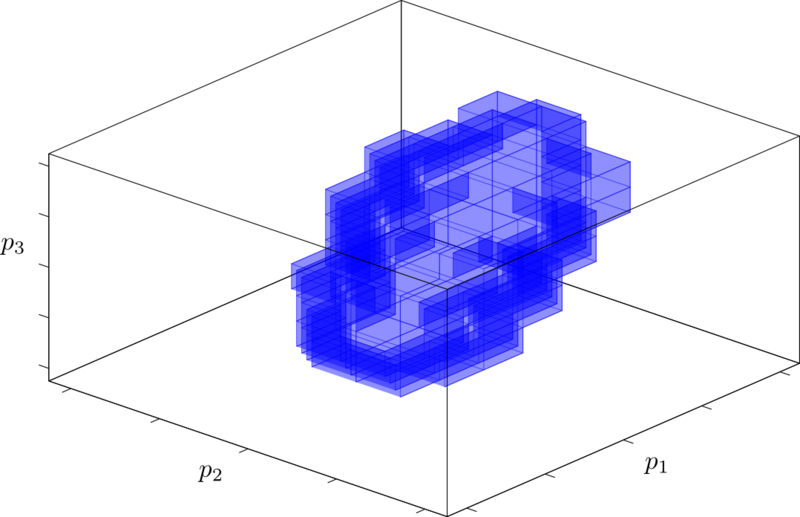 Compared to approaches based on samples, the set-based approach allows definite statements on entire regions in the parameter space to be made. Furthermore, since only unknown- but-bounded uncertainties are assumed, no assumptions on statistics of measurements have to be made. ADMIT was tested on Mac OS 10.6.x, Mac OS 10.7, Linux, Windows XP, Windows 7. ADMIT needs MatLab™ R2010b - R2017a and the SYMBOLIC Toolbox. Additionally Matlab's OPTIMIZATION Toolbox is recommended. WARNING! MatLab™ versions newer than R2017a are incompatible with ADMIT due to changes in symbolic toolbox. To improve estimation results, installation of Yalmip and a solver of your choice, e.g. SeDuMi, CPLEX, or Gurobi is recommended. To be able to import SBML models or models developed with the SBToolbox2 (by Henning Schmidt et al. ), please install the SBToolbox2 and libSBML. Major release update: ADMIT 2.0 is available for download! ADMIT is free for academic and non-commercial use. A commercial use of this free academic version is not permitted. For commercial use please contact us ( ). for academic and non-commercial purposes only. distributed outside the institution of the LICENSEE. In order to receive a download link, please fill out your personal data, type in the number code you see in the picture, read the licensing conditions and, if you agree, submit your data. You will then receive an email containing a download link. For installation simply unpack the compressed file and run the installation script (installADMIT.m). Overview - Tutorial explaining the basic ideas, methods and algorithms. Examples - Tutorial explaining how to use the toolbox at four examples: 1. Michaelis-Menten motif, 2. Carnitine-Shuttle, 3. Adaptation, 4. Two-tank bioreactor. Syntax and functions - Tutorial that gives an overview on the syntax (variables, constraints, sets, ...) and functions of the toolbox. Documentation - Detailed documentation of all available functions. If you have any questions or comments please feel free to send us an email ( ). S. Streif, A. Savchenko, P. Rumschinski, S. Borchers, and R. Findeisen. ADMIT: a toolbox for guaranteed model invalidation, estimation and qualitative-quantitative modeling. Bioinformatics, 28(9):1290-1291, 2012. P. Rumschinski, S. Borchers, S. Bosio, R. Weismantel and R. Findeisen. Set-based Parameter Estimation and Model Invalidation for Biochemical Reaction Networks. BMC Systems Biology 4:69, 2010. S. Borchers, P. Rumschinski, S. Bosio, R. Weismantel and R. Findeisen. A set-based Framework for Coherent Model Invalidation and Parameter Estimation of Discrete-time Nonlinear Systems. Proc. 48th IEEE Conference on Decision and Control (CDC'09), Shanghai, China, 2009. P. Rumschinski, S. Streif, and R. Findeisen. Combining qualitative information and semi-quantitative data for guaranteed invalidation of biochemical network models. Int. J. Robust Nonlin. Control, 22(10):1157-1173, 2012. J. Hasenauer, P. Rumschinski, S. Waldherr, S. Borchers, F. Allgöwer and R. Findeisen. Guaranteed Steady State Bounds for Uncertain (Bio-)Chemical Processes using Infeasibility Certificates. Journal of Process Control 20(9):1076-1083, 2010. J. A. Paulson, D. M. Raimondo, R. D. Braatz, R. Findeisen, and S. Streif. Guaranteed active fault diagnosis for uncertain nonlinear systems. In Proc. European Control Conference (ECC), Strasbourg, France, 2014. In press. D. Hast, S. Streif, and R. Findeisen. Guaranteed parametric fault diagnosability for nonlinear systems. In Proc. 52nd IEEE Conference on Decision and Control (CDC), pages 5662-5667, Florence, Italy, 2013. A. Savchenko, P. Rumschinski, S. Streif, and R. Findeisen. Complete diagnosability of abrupt faults using set-based sensitivities. In Proc. 8th IFAC Symposium on Fault Detection, Supervision and Safety of Technical Processes (SafeProcess), pages 860-865, Mexico City, 2012. A. Savchenko, P. Rumschinski and R. Findeisen. Fault Diagnosis for Polynomial Hybrid Systems. Proc. 18th IFAC World Congress (IFAC'11), Milano, Italy, 2011. S. Streif, N. Strobel, and R. Findeisen. Inner approximations of consistent parameter sets via constraint inversion and mixed-integer linear programming. In Proc. 12th IFAC International Symposium on Computer Applications in Biotechnology (CAB), pages 326-331, Mumbai, India, 2013. S. S. Borchers and R. Findeisen. Outlier detection for polynomial systems using semidefinite relaxations. In Proc. IFAC Symposium on Nonlinear Control Systems, NOLCOS'13, pages 761-766, Toulouse, France, 2013. S. Streif, M. Karl, and R. Findeisen. Outlier analysis in set-based estimation for nonlinear systems using convex relaxations. In Proc. European Control Conference (ECC), pages 2921-2926, Zurich, Switzerland, 2013. A. Savchenko, P. Andonov, S. Streif, and R. Findeisen. Guaranteed set-based controller parameter estimation for nonlinear systems - magnetic levitation platform as a case study. In Proc. 19th IFAC World Congress, Cape Town, South Africa, 2014. In press. S. Streif, M. Kögel, T. Bäthge, and R. Findeisen. Robust nonlinear model predictive control with constraint satisfaction: A relaxation-based approach. In Proc. 19th IFAC World Congress, Cape Town, South Africa, 2014. Invited session paper. In press.